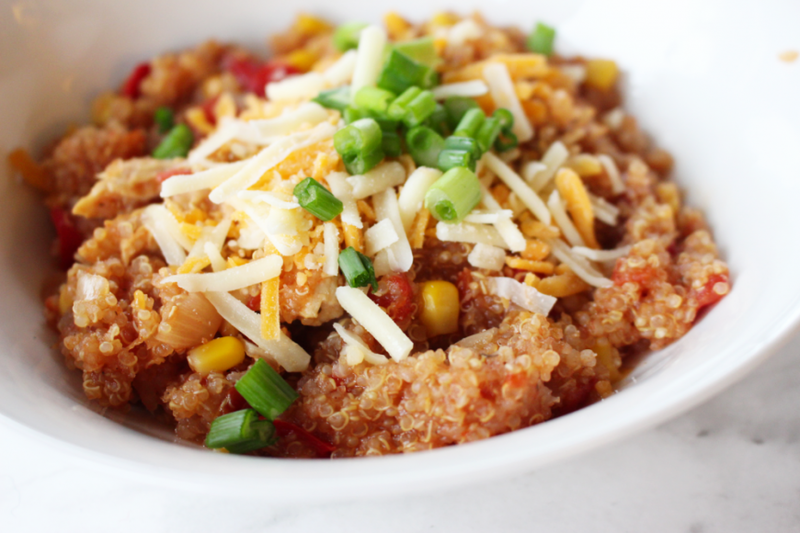 A Dish Jam Packed Full of Protein & A Spicy Southwest Flavour! 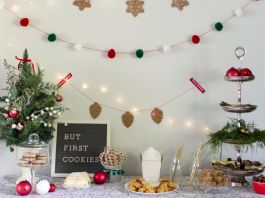 Like many other households, Santa delivered an Instant Pot Duo Plus this year for Christmas! I hadn’t really known much about it until my slow cooker literally fell apart. With no experience with a pressure cooker before, I will be the first to admit I was a bit intimidated. 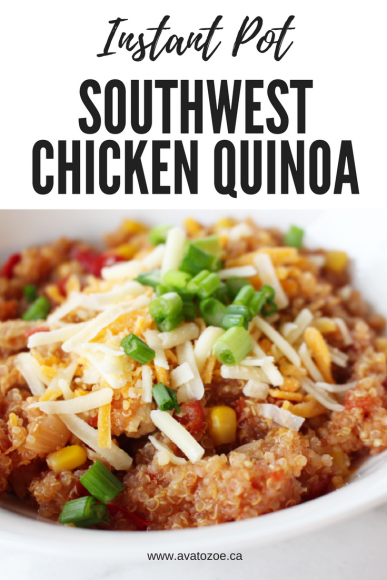 Life is now 50 shades of simple with my Instant Pot and 50 shades of flavour with this Southwest Chicken & Quinoa Dish! After reading the manual from front to back, I felt like I truly knew how the Instant Pot would work! I never expected the results I’ve gotten! I’ve been working on a database of amazing Instant Pot Recipes that I was going to share all at once but they’re just too good and it feels a bit unfair to keep them to myself. 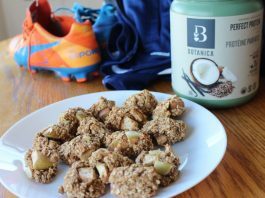 With the Sun Run training right around the corner, I knew that I was going to need some meals packed with protein! 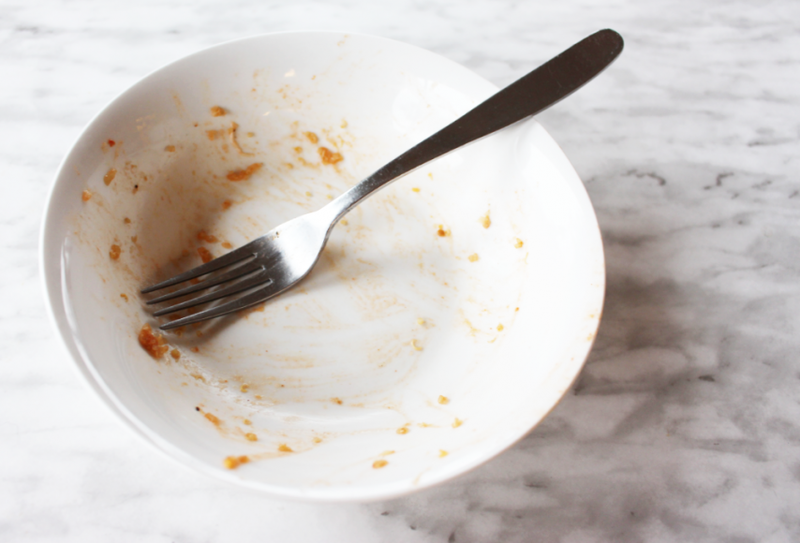 With the Instant Pot, my cook time is significantly reduced, my clean up is reduced to one pot and the meals are cooked to perfection within minutes! Quinoa is one of my favourite side dishes as it is full of protein! I can add some broth and seasoning and instantly get a completely different recipe. 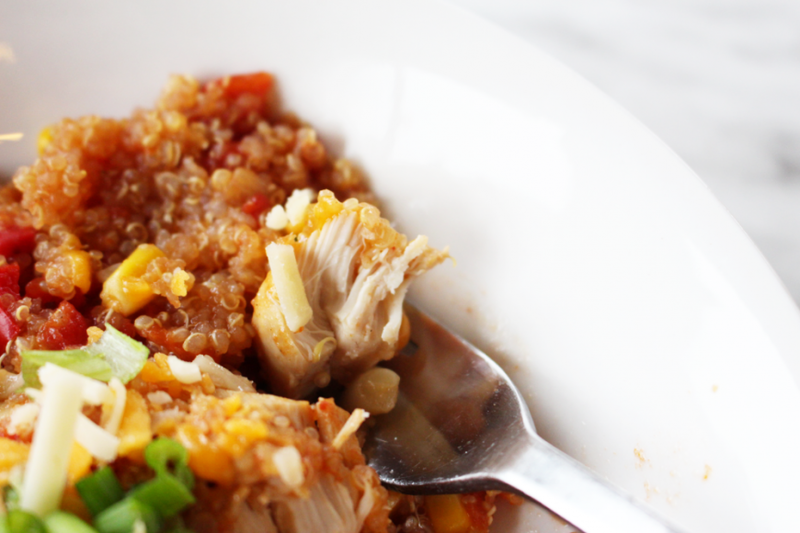 I also have a deep love for Southwest Chicken, this recipe is quick, easy, delicious and full of flavour! 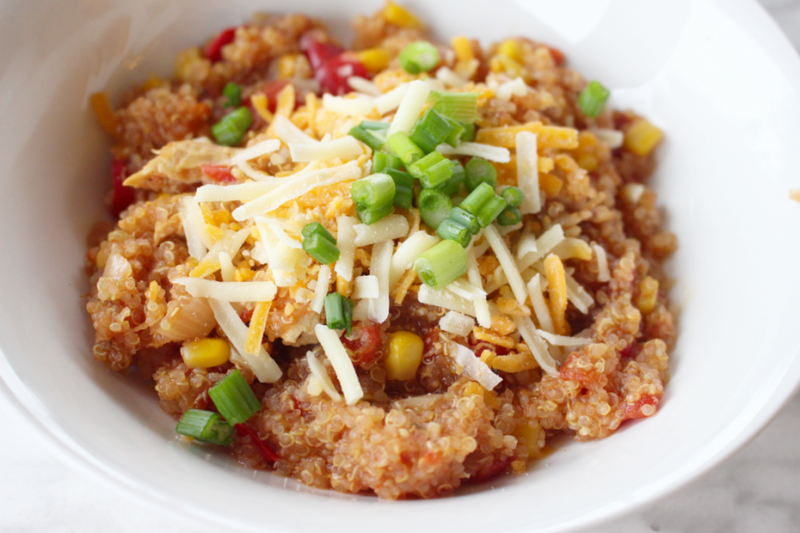 Ready For A Delicious Southwest Chicken Quinoa Instant Pot Recipe? Set Instant Pot for Pressure Cooker (or meat/stew) for 10 minutes. After the 10 minutes is complete, turn the valve to “vent” to release pressure. Chicken should be at 165 degrees Fahrenheit or above and completely white throughout! When pressure is released, remove the lid. Top with cheese and green onions. Serve up some good ole’ Southwest flavour! Looking for more Instant Pot Recipes? Check out my Instant Pot Recipe Board on Pinterest! Still loving the Quinoa? 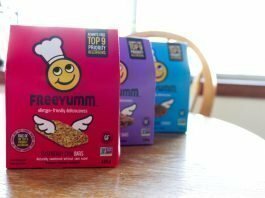 Maybe you want to try our Quick & Easy Lunch For Busy Moms? Perfect when you're looking for something quick and full of flavour! I make this most nights that I'm going out for a run as it's not too heavy and makes for a wonderful lunch the next day! Use Chips to dip for extra family fun!